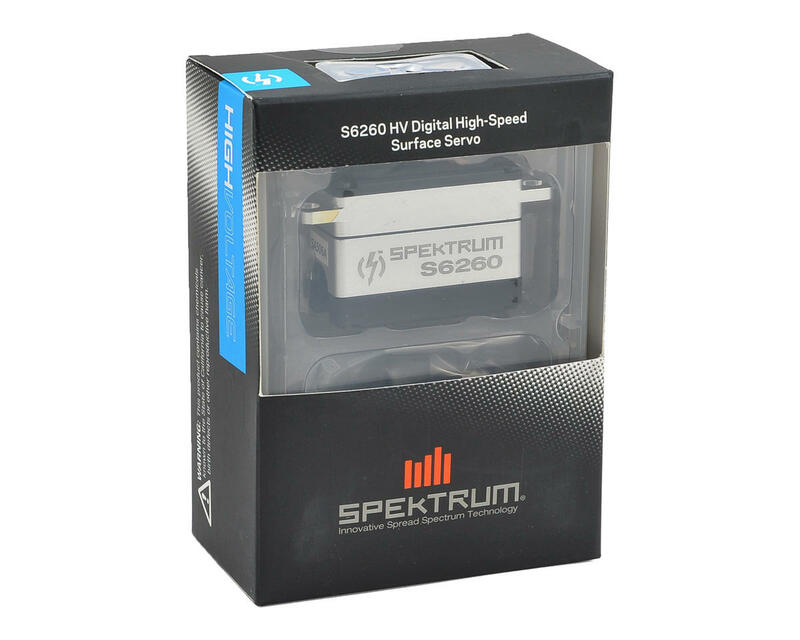 The Spektrum S6260 is a high voltage upgrade from Spektrum's budget minded S6240 series servo. Offering all the same benefits in a slim package, but packing a major upgrade in speed and torque with the addition of a high voltage capable motor. The S6260 supports a standard servo mounting form factor, which makes it a universal fit for 1/10 class vehicles. Good servo ,but , i had a hard time finding a servo arm that fit, i counted 23T on the servo. 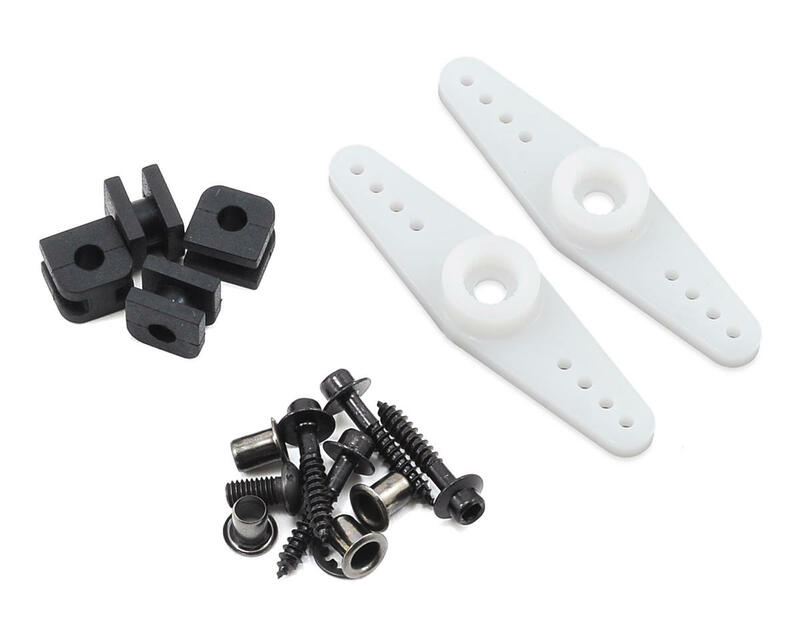 I tried 23t , 24t and 25t hudy arms inlcuding the plastic arms i received in the xray xb2 kit but no luck. I found a cheap Gforce arm that fit. if anyone has found an arm that fits, please post. 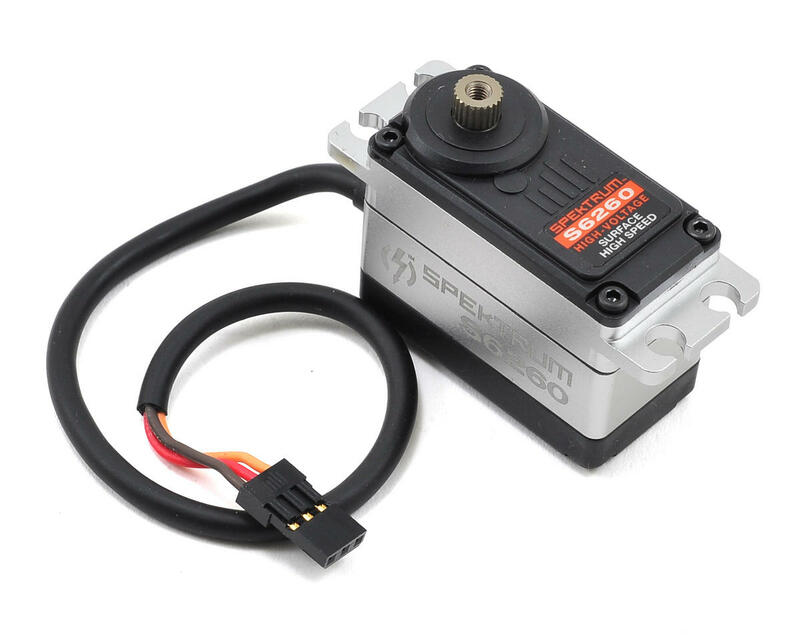 I use this servo in numerous vehicles such as my RC8B3.1e, EB410,ET410 & B6.1. Have had no issues with extremely quick response and great power. Will be ordering another couple for next models being obtained as well. Great servos, I use on all my touring cars! The Kimbro servo savers work great with these!